This cap will show your true colors as you proudly display the stars and stripes on this great baseball-style cap. Our custom designed cap comes with beautiful raised embroidery of the American flag with the words Proud American in white under the flag. This durable cap is made of thick brushed twill cotton. It's six panel design, comfortable inside headband, and adjustable Velcro strap means it fits as good as it looks. The hat is blue with white lettering. 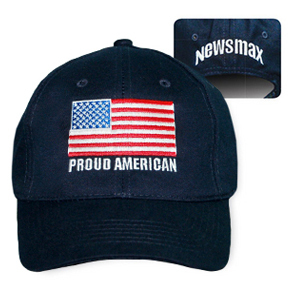 Celebrate the United States of America — wear the cap!